New Restaurants & Bars Enrich city Split. In the last few years, some say Split lost its reputation of a transitional destination, keeping guests’ attention for only a day or two. 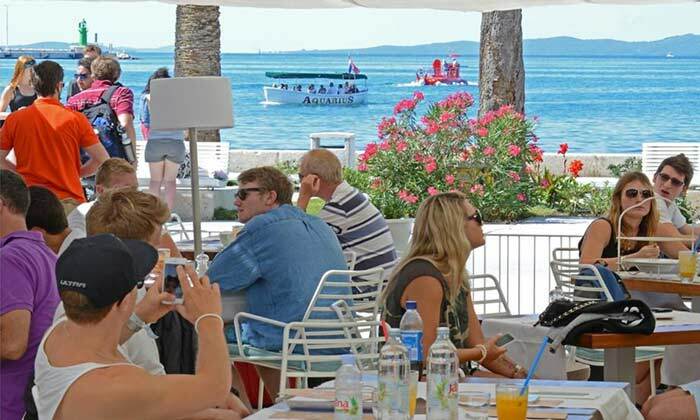 In contrary, other than being an international port and the second biggest city in Croatia, Split is on its way to become a top tourist destination with the tourist offerings of great quality and diversity. Here are only a few of the new Split Restaurants & Bars that prove diversity. Paradigma is a newly opened restaurant in the heart of Split unique for its modern approach towards Mediterranean cuisine placing a high priority on selecting only the very best of local ingredients when designing a menu. Paradigma offers a wide variety of both local and international wines with a focus on indigenous sorts from Dalmatia and the Mediterranean, with menus accompanied by wines from Southern Italy, Greece, French regions such as Languedoc Rouisillon and Provence. Paradigma is ideal for midsize groups featuring a terrace for 90 guests and an interior seating ready to host 45 people. 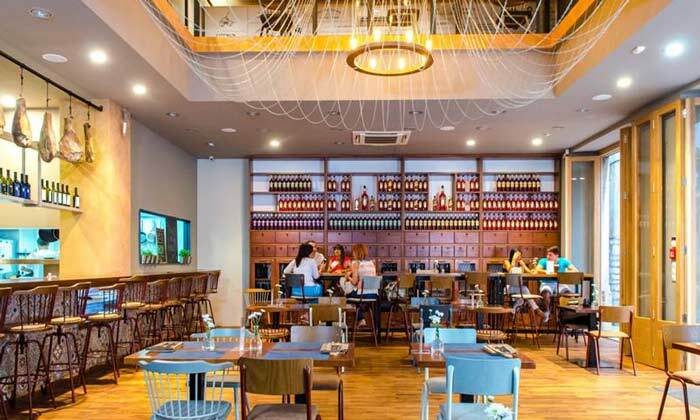 The Split waterfront welcomes a quality addition to its gastro scene, as Brasserie on 7 opens its doors for the first time. Superbly located in the middle of pedestrian promenade – Riva. They serve English breakfast, sea and meat dishes prepared in their unique way. The Brasserie on 7 became famous thanks to their cakes made of the combination of traditional and futuristic recipes. 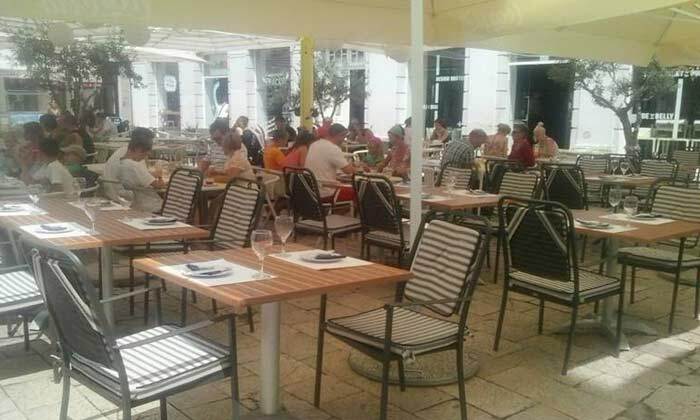 This restaurant has plenty of space with 140 seats outside and 40 inside. 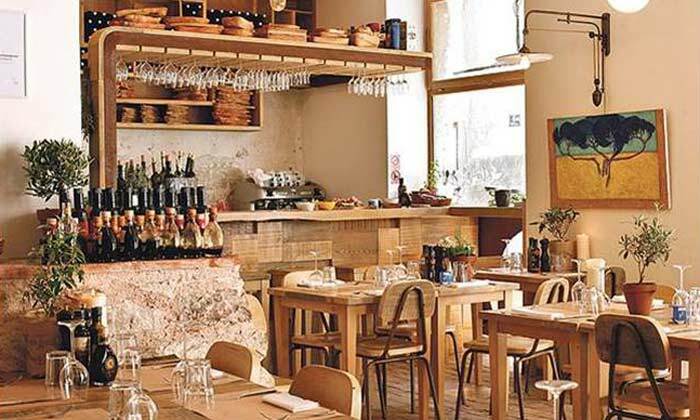 Olive oil Bar Uje is located in the very heart of the Split in Diocletian’s Palace featuring the widest choice of olive oils produced in Dalmatia. Guests experience Dalmatia through a story told through olive oil including its production as well as a sampling of olive oils produced on Dalmatian islands and hinterland. In addition to olive oils, the experience is complete with a tasting of homemade Dalmatian cheese, smoked ham and sweets. The olive oil bar Uje is a perfect place to taste and smell the Mediterranean. La Boqueria is a famous market in Barcelona, and that’s where the name “Bokeria” comes from. The food that is served is not Spanish but generally inspired by the Mediterranean and the ingredients of local farmers and fish markets. 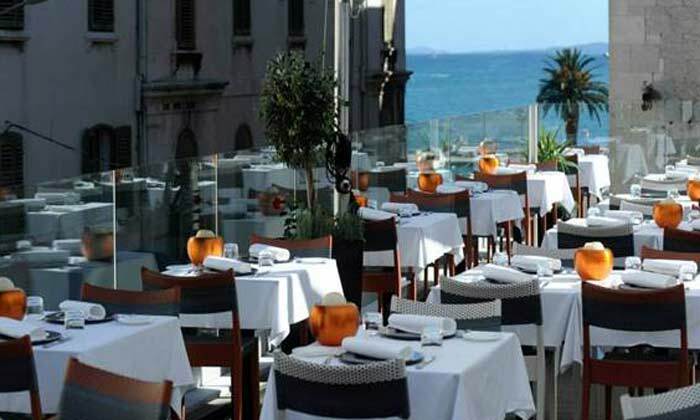 The restaurant is beautifully decorated and is one of the largest in the center of the town with up to 150 seats. On the ground floor, there are low and high tables and dominant bar, comfortable for enjoying a glass of wine or tasty dishes. The gallery on the first floor is a special area, allowing privacy for various celebrations, events or intimate dinners. Outdoor tables, lined up along the facade complete the scene, offering an opportunity to partake of the typical dining experience. Why oysters? Quite simply, Bota Sare-restaurants are located in the place where they grow the tastiest oysters in the world, Ostrea edulis, or as many like to call the queen of oysters that can be found in the Bay of Mali Ston and nowhere else in the world. Delivered fresh from our oyster beds daily – no oysters can compare! Why sushi? Sushi fits perfectly into the story that Bota Sare-restaurants cherished for generations, the story of fresh local fish and healthy food, and that is what sushi is!